Approximately 1 oz. organic cut rose hips (Rosa canina). Rosehip is also known as Briar Rose, Brier Rose, and Rose Haws. Rose hips are the fruit of wild roses (dog rose). Rose hips can be used in potpourri, teas, soaps, bath bombs, and more. Such a lovely floral fragrance. Very fresh. Great color. Great pieces (not crumbled). I think this will go in a tea blend and some bath products. These cut rose hips are beautiful. They are going to look and work perfectly in my Incense and salves! 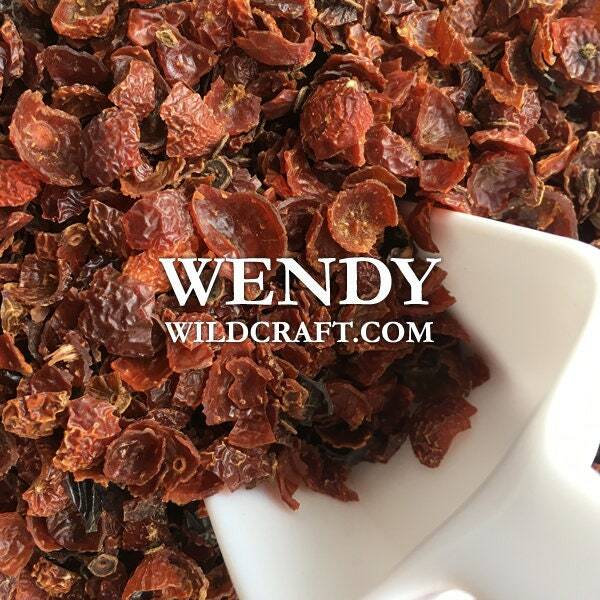 I’m hooked on your products Wendy!